Old-fashioned favorites, marigolds are as common to flower gardens as the ubiquitous petunia or geranium. They also have a unique history and all sorts of uses, from the decorative to the salutary. 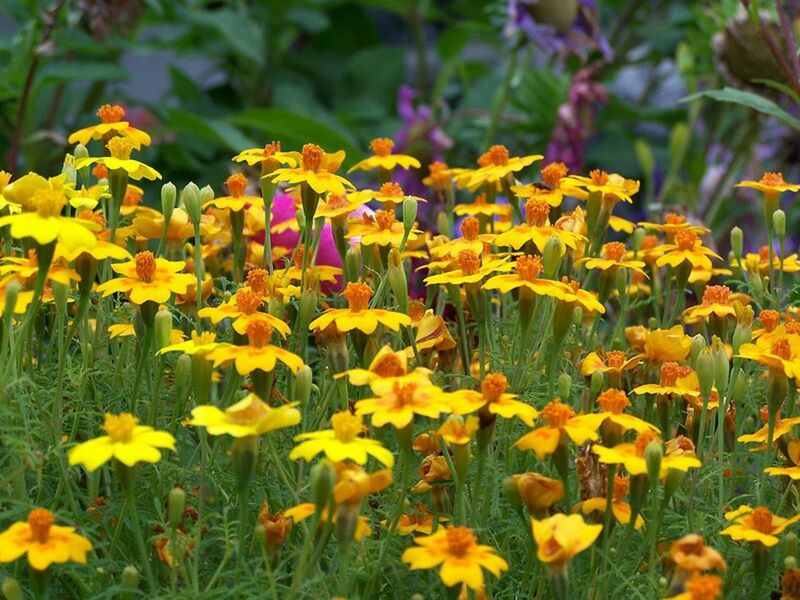 Yes, they're commonly called French marigolds, but Tagetes patula is actually native to Mexico and Central America. In the 16th century, their seeds were first transported to Europe by Portuguese explorers. Eventually, the flowers became popular in France—and just about everywhere else, too, including French territories. Soon the hardy annual, with its pungent aroma, lacy leaves and cheerful flowers, became a staple in ornamental borders (Cutler), so that by the 19th century, it was considered an "old-fashioned" flower (Taylor). The first part of French marigold's botanical name, Tagetes, is derived from the Etruscan god Tages, who is said to have sprung in all his glory from freshly plowed soil. Patula, French marigold's species name, means "spreading" (National Gardening Association), which is particularly apt, in more ways than one. 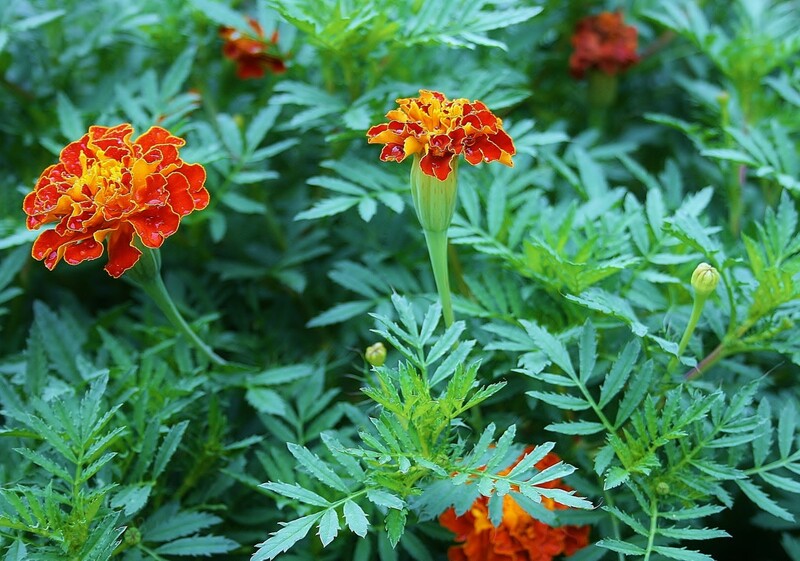 Not only are French marigolds easy plants to sow from seed, but they're also hardy self-seeders. And they're grown just about everywhere on the planet. Single-petal varieties of French marigolds, including Scarlet Starlet & Cottage, perform well under hot, humid conditions. Since then, countless French marigold hybrids have been developed, including marigolds with double, semi-double and single-flower blooms. 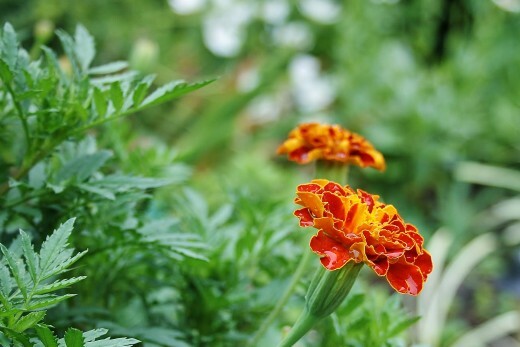 Single-petal French marigolds are the best choice for gardeners in hot and humid regions, according to research conducted through the Alabama Agricultural Experiment Station. Some gardeners also claim that single-petal marigolds attract more pollinators, probably because of their relatively flat landing pads that provide easy access to pollen and nectar. 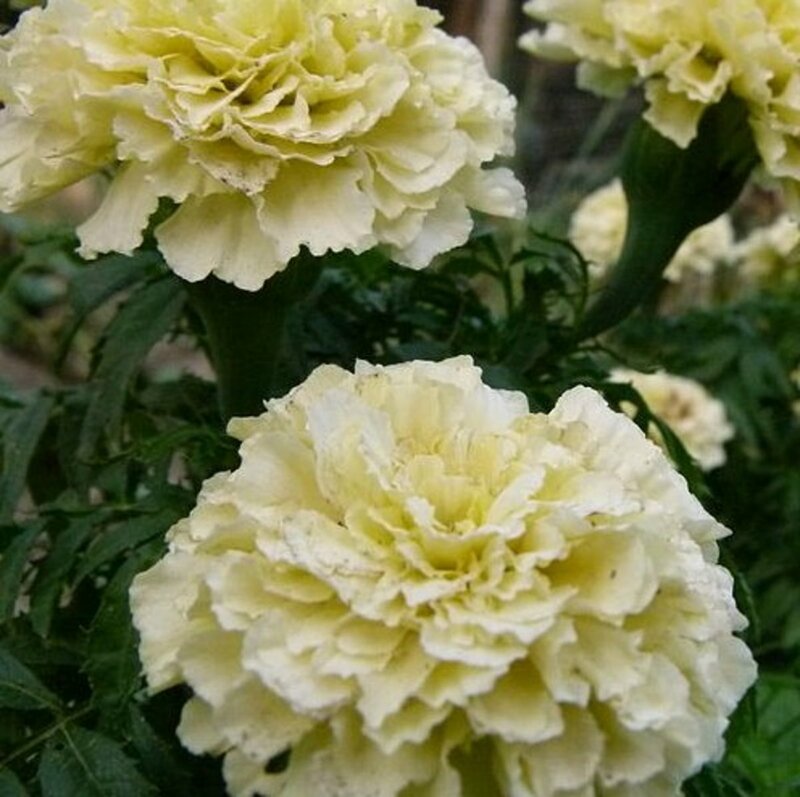 French Vanilla, called the first white marigold by Burpee Seed Company, can still be purchased through Burpee online. In an interview with People magazine, Vonk described the Mendelian science that she applied for to her marigold project: "I used to look in the seed catalogs for the largest yellow marigolds I could find. I would let the palest flowers go to seed, then collect the seeds" ("A True Drama"). Eventually, after years and years, her patient strategy paid off. In 1974, Burpee gave her $100 for her excellent work; the next year, she won the entire prize. On its online catalog, Burpee gives the hybrid 'French Vanilla' the designation first white hybrid, but makes no mention of Alice Vonk. Other sources cite 'Snowball' and 'Snowbird' as the name of Vonk's winner. So ... what's really the name of first white marigold? Your guess is as good as mine! Who's the Fairest of the Three? 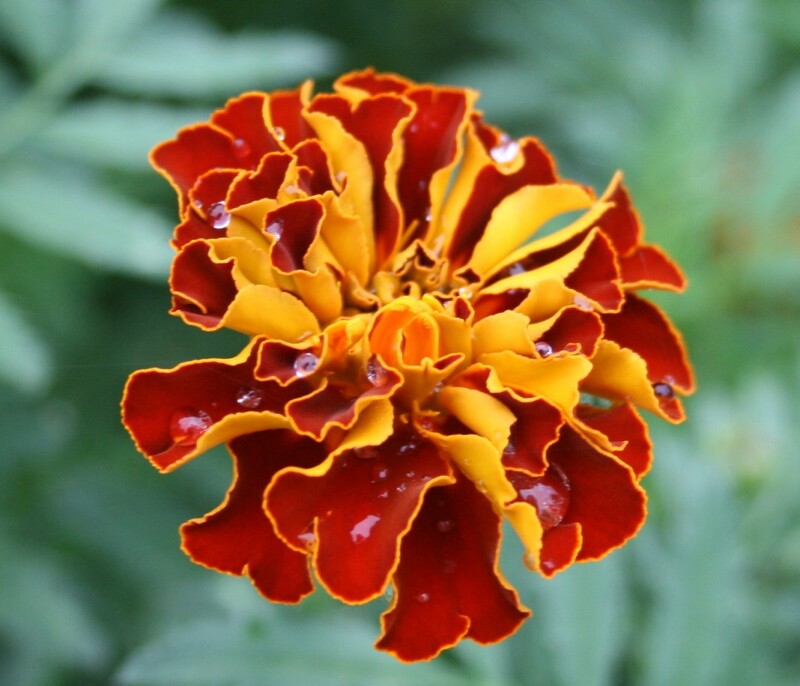 French marigolds are one of the three most popular species of Tagetes grown today. The other two are African marigolds (T. erecta) and signet marigolds (T. tenuifolia). 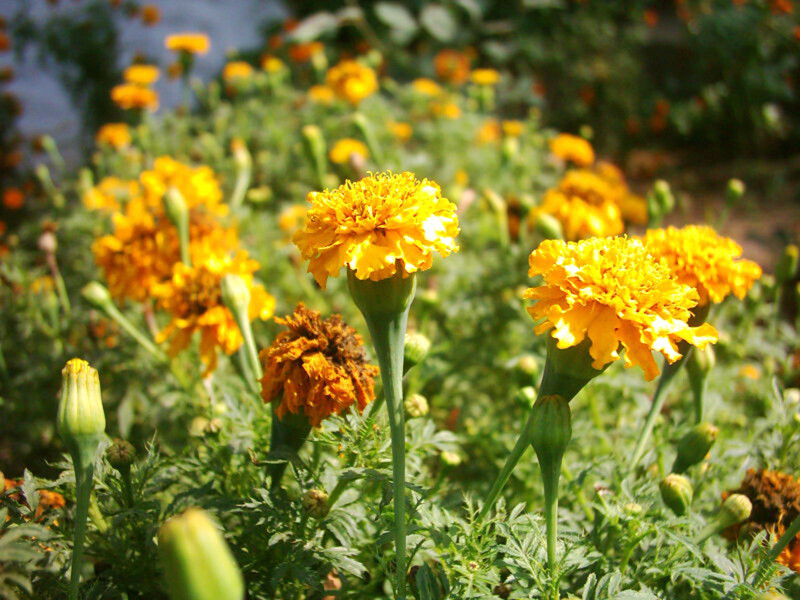 African marigolds (T. erecta) are also called American marigolds. They are the largest of the three and have an upright habit and large yellow, orange or white round flowers up to five inches across. Significantly taller than French marigolds, African marigolds can reach heights of up to three feet. Signet marigolds, on the other hand, are much smaller than French marigolds. Have you ever eaten a marigold? In fact, because of their dainty, low-growing habit and penchant for dry, hot areas, they are sometimes called rock-garden marigolds. Signet marigolds have edible flowers that make a pretty garnish or colorful addition to a salad. And, of course, French Marigolds. French marigolds are right in the middle of the two as far as size is concerned, or (as some gardeners would say) they're "just right"—not too big, not too small. You'll only have to buy seeds once. After that, you can save and sow your own year after year. Bushy and compact, French marigolds usually grow no higher than a foot. 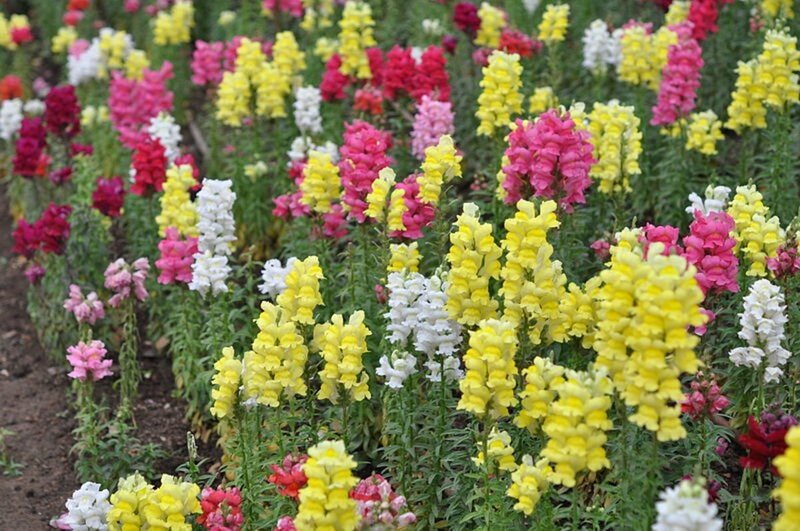 I love to see them sown in rows around a garden, or along a fence or wall. They make a wonderful hedge that blooms from summer into late fall or, if the weather's mild, into early winter. 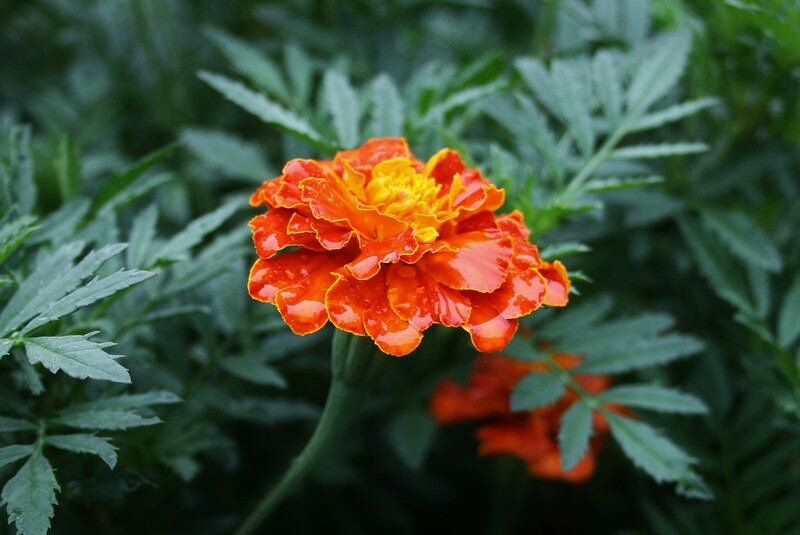 French marigold cultivars come in double-flower and single-flower varieties, but most are doubles with red, orange and yellow flowers that seem petite compared to African marigolds. Most measure from one to three inches across. 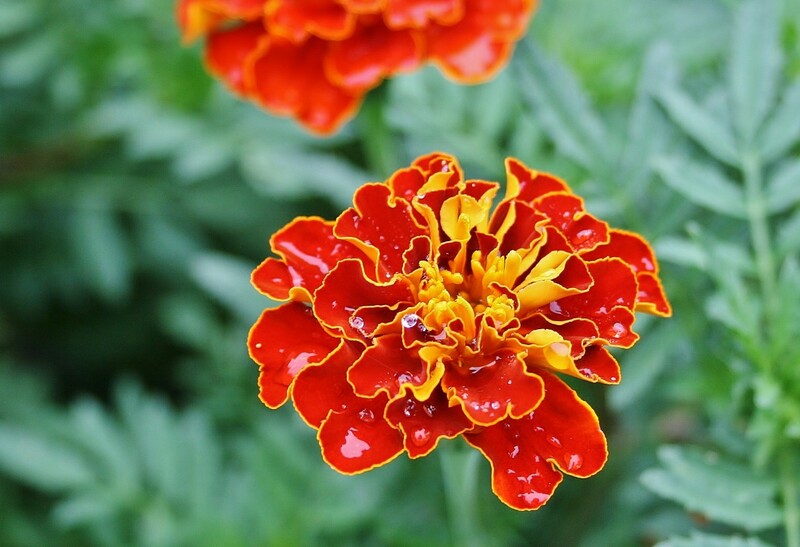 Gardeners have long maintained that French marigolds are good for a garden's health, claiming that they repel cabbage moths, Mexican bean beetles and other garden pests. For these reasons (and others) marigolds have traditionally been touted as excellent companion plants for broccoli, Brussels sprouts, and pole beans and bush beans (Israel)—although I've read anecdotal accounts of marigolds actually inhibiting bean production, too. So does the pungent scent of marigolds really drive away white fly and deter rabbits? The jury's still out on that. But there is scientific evidence that marigolds really do deter at least two diseases that often devastate crops. Scientific studies have shown that marigolds are effective in reducing the number of disease-causing nematodes (microscopic worms) in the soil, not by their strong smell but by the natural pesticides that they produce in their roots and leaves. To get the most out of marigold's beneficial effect on the soil, clip spent plants off at their base at the end of the growing season, leaving the roots intact. Marigolds are allelopathic. 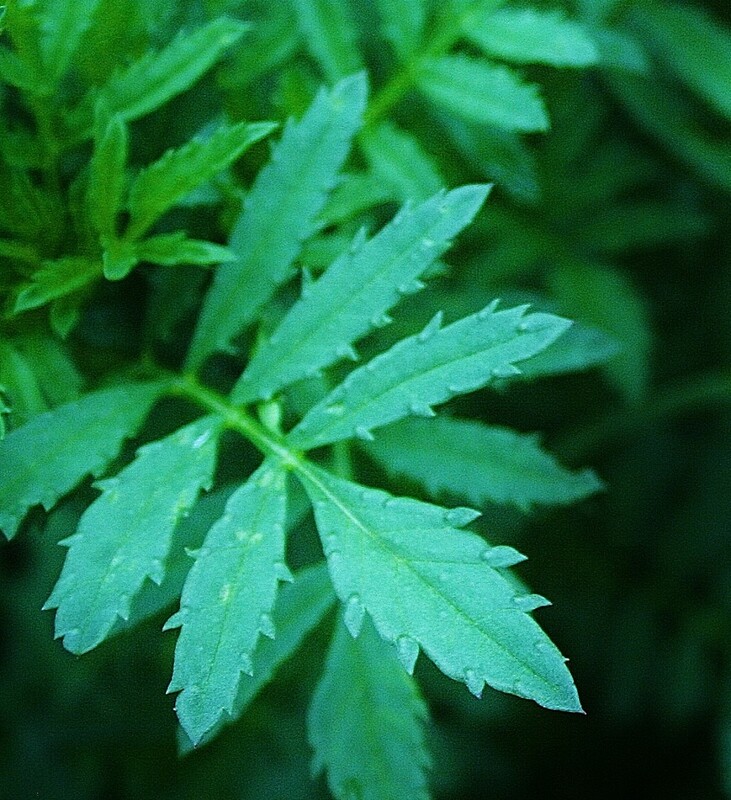 Allelopathic plants generate compounds that are toxic to other plants and other organisms. In the case of marigolds (T. erecta and T. minuta included), they produce terthiophene and other compounds that reduce the number of nematodes that cause root lesion and root knot disease. Root knot and lesion diseases adversely affect many crops, including grains, peanuts, potatoes, tomatoes, stone fruits like peaches and plums, and cut flowers (Davis and others; Rahman). 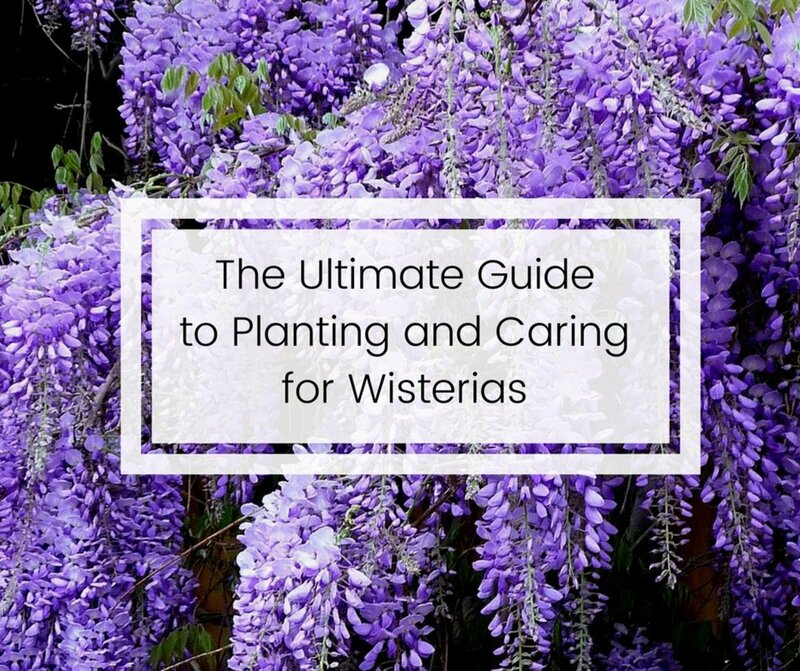 In the case of root knot disease, nematodes infest plant roots, laying eggs and disrupting the vascular system. Research at the University of Georgia shows that some French marigold cultivars produce higher levels of toxin and are therefore more effective in reducing the number of pest nematodes in soil. 'Tangerine', 'Petite Gold', 'Petite Harmony', 'Goldie', and 'Nemagold' are said to be particularly effective when planted closely spaced in a solid block. 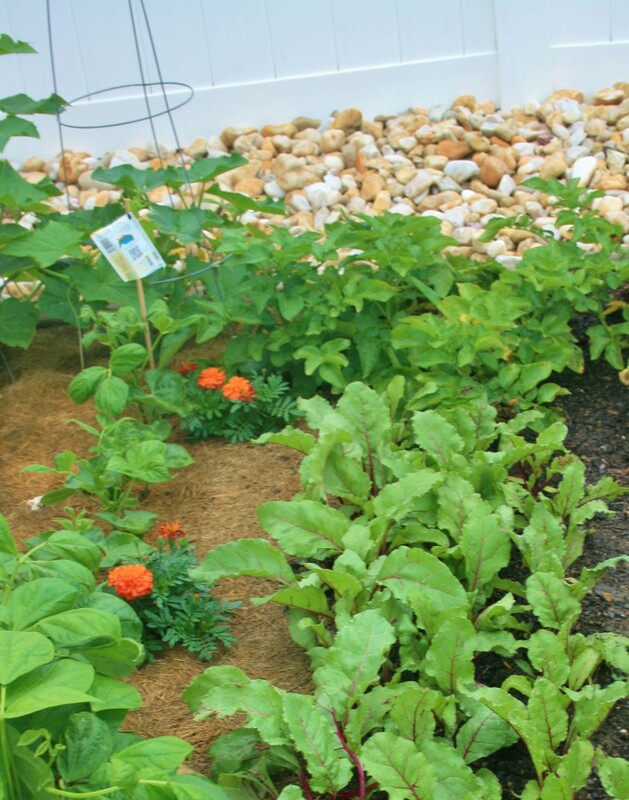 At the end of the growing season, clip off the plants at their base, leaving the roots in the soil. This will strengthen marigold's anti-nematode effect. You could also treat marigolds like green manure, growing them in dense patches and then tilling them under before they bloom to enrich the soil and control disease-causing nematodes. Did you know that the marigold was once a contender for the national flower of the United States? 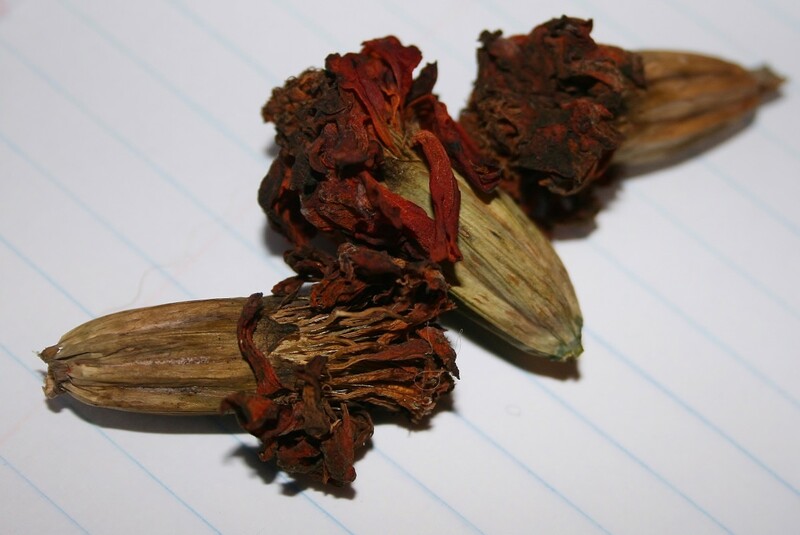 The rose ultimately won the title in 1986; however, the long campaign of Senate majority leader Everett McKinley Dirksen (at the behest of David Burpee) brought the marigold much attention and acclaim. In a famous 1967 speech, Dirksen called the marigold "a native of America" and an "American flower" with a " robustness [that] reflects the hardihood and character of the generations who pioneered and built this land into a great nation'' ("A National Flower"). Dirksen's hometown of Pekin, Illinois, calls itself the Marigold Capital of the World. Pekin began growing marigolds to show support for Dirksen's national flower campaign. In 1973, the town began its annual Marigold Festival in honor of Dirksen. The festival continues to this day. The 2017 Marigold Festival in Pekin, Illinois, runs from September 8 to September 10. Americans, of course, aren't the only people who love marigolds. 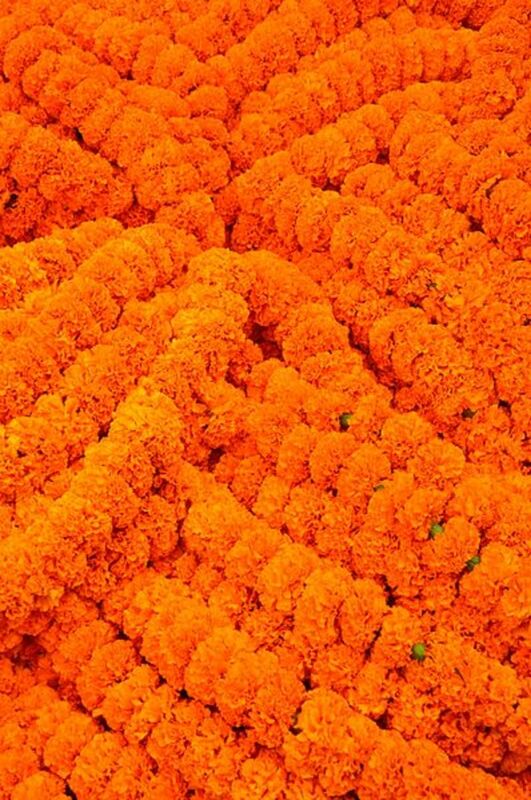 In Mexico and Guatemala, fresh and dried marigold flowers are used to decorate graves and cemeteries as part of Day of the Dead celebrations, and marigolds are called Flor de Muerto, the flower of the dead (Taylor). 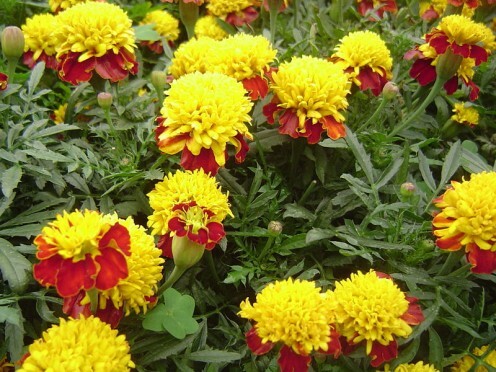 Marigolds are also widely grown and used throughout the Indian subcontinent. According to Plant Cultures, a site sponsored in part by Kew Gardens, marigolds are used as decorations in many ceremonies, including weddings and funerals, in India, Bangladesh, Bhutan, Nepal, Sri Lanka and Pakistan. 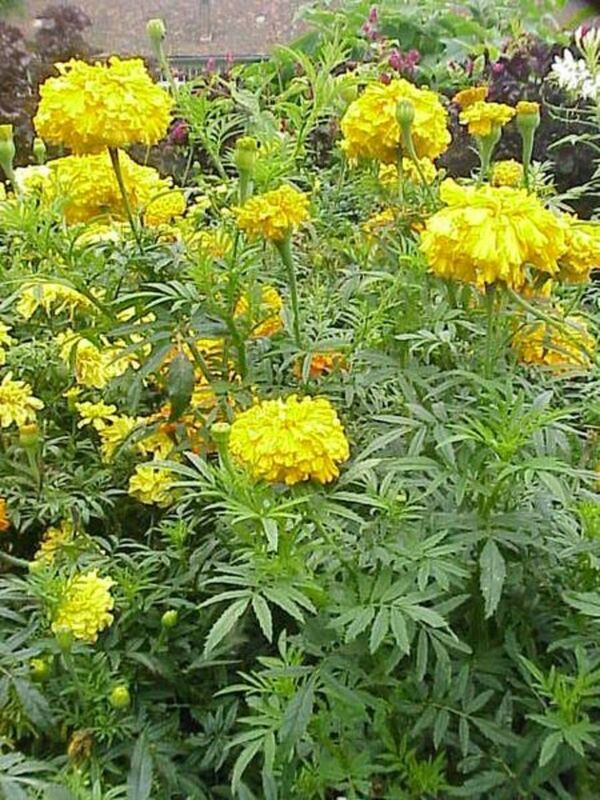 Marigolds are also popularly used in South Asia to distinguish special and/or sacred places and buildings ("Marigold History"). Great information! Do you have a resource that states which French marigolds are edible, and which aren't? I'd love to see it. I grow edible flowers for restaurants and so I have to check these things out thoroughly, of course. I saved seed from Fireball, which I LOVE, and am hoping that it is an edible variety. Thank you! My grandmother always planted marigolds around her house and pathways. She claimed that snakes hated them and she hated snakes so that worked out well. I learned about companion planting and the value of marigolds from watching my grandfather garden. When I had a large garden years ago in Wisconsin, I grew many marigolds along with my veggies and never used pesticides. Excellent article with beautiful photography! Pinning this to my flowers board. Appreciate your comments, Deb! Thanks. This was so well done! Marigolds are my favorites, with pansies a close second. Nice history lesson, too. Hi Lee! Sounds like your marigolds are helping you keep root knot at bay. The only pest damage I ever have to marigolds is from snails, although I've read that they're susceptible to mites, too. Thanks for stopping by! Last year I planted "Guardian" marigolds to combat nematodes. In places where I don't have marigolds I do see some root knot (I had some bizarre lumpy carrots) but where ever marigolds grow other plants are safe. Now my marigolds have self sown and they are all over the place. We have many Marigolds out the back so to learn a little more about them is great. Wonderful hub Jill and voted up. Thank you, Maren! I've been debating about learning more about special lenses & perhaps getting one. I don't know. It might be pretty expensive! Thanks, W1totalk! Good to hear from you. Fascinating, insightful and oh so beautiful hub here. I have never eaten a marigold. What a comprehensive hub here on the marigold. Love all of the stunningly beautiful photos too. Great article. Wonderful marigold types. I would love to have white marigolds, I didn't know they came on white either. 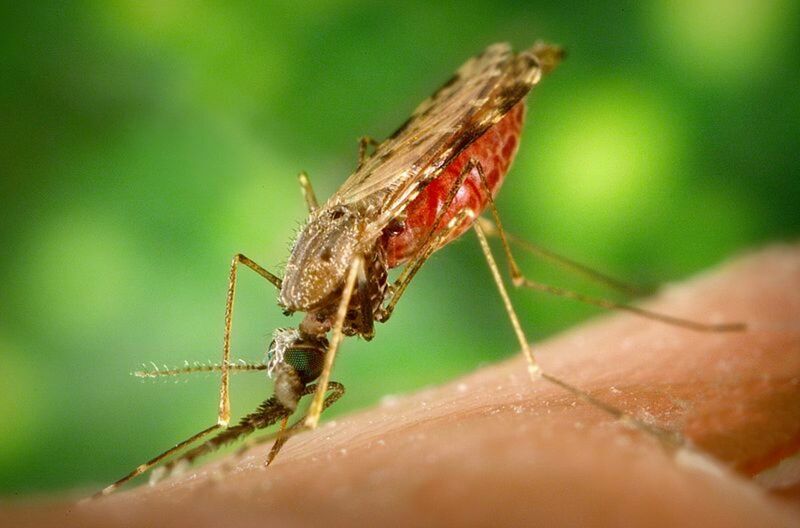 I will have to plant a garden of them next summer, mosquitoes are horrible! Hey purl3agony! I noticed lots of people pinning your hub about knitting a shawl. Congratulations! And thanks for visiting. I'd be interested to hear how your white marigolds do. At least one of the varieties that I know of is actually odorless. I learned so much, Jill, thank you for sharing. Voted up, pinned, and shared. Beautiful! And lots of good information. I planted some marigold seeds; they did not grow. Would like to have those good for salads. Thank you for this article. Voted Up and Useful! Very interesting! I never knew there were white marigolds. I'll have to find these to plant as a border in our garden next year. I've never been a huge fan of marigolds, but they are a hearty plant in my (very limited) experience and they add a great pop of color and texture to planters and gardens. Thanks, as always, for the great information!! Voted up and pinned! Very interesting! I have marigolds in my garden right now. 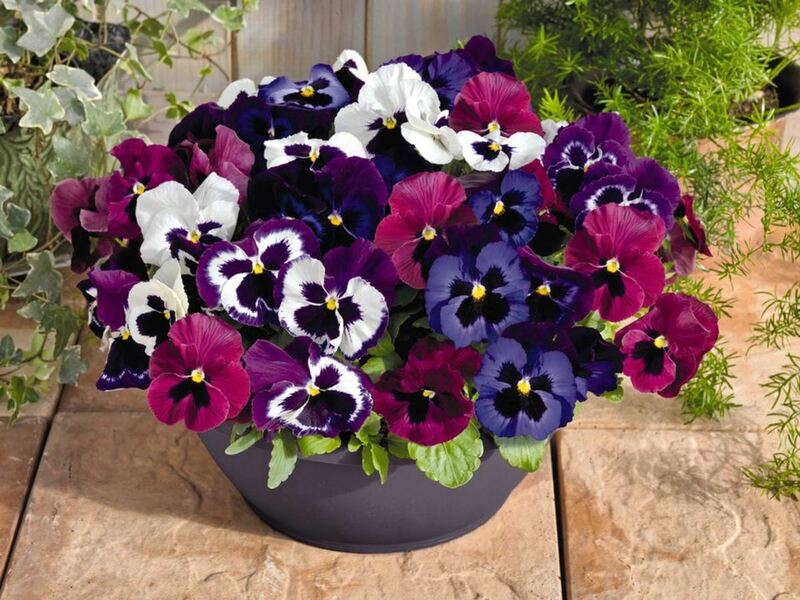 It's been a great year for them, they have really flourished. Do you know if all marigolds are edible? Curious if there are health benefits to eating them (I know that wasn't the point of this hub, just got me thinking).